We’re coming at you today with a double-dipped kick special: the best on court kicks from both Sunday and Monday Nights! 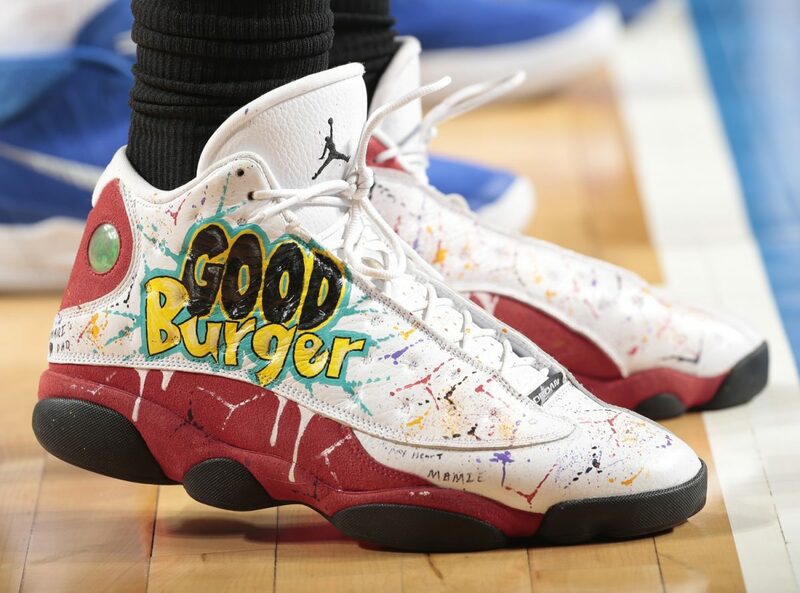 The last two days in the NBA had some crazy kicks, but none more dope than Montrezl Harrell’s “Good Burger” Custom Air Jordan 13 joints. The Clipper also hooped out in the Gym Red Air Jordan 12, the LeBron 9 and another custom pair of kicks. Aside from Trez, there were a ton of new and throwback heat on deck, from the likes of PJ Tucker, Jimmy Butler and Jeff Green — so take a peep below and recap on the last two night’s best on court kicks!